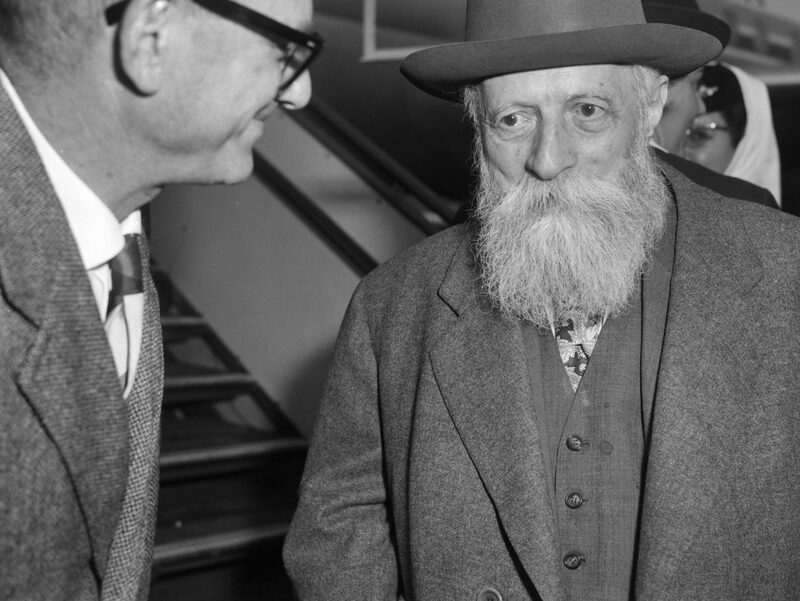 Just before Martin Luther King Jr. Day, the National Library of Israel has unveiled a timely letter from its Martin Buber Archive. In 1965 Buber, just before his death, joined a group of Hebrew University professors in writing to President Lyndon B. Johnson to emphasize the importance of the end of King’s brief incarceration following a march on Selma, Alabama. King had received the Nobel Peace Prize the previous year. “We are taking the liberty to express our deep satisfaction that Dr. Martin Luther King Jr. is now again a free man and can continue his righteous fight for the equality of his people,” the letter’s signatories wrote, according to a press release from the National Library. They acknowledged Johnson’s own participation in that fight; the president would meet with King shortly after his release from prison. Buber, one of the most significant Israeli Jewish philosophers, had helped form King’s own thinking; the civil rights leader cited Buber’s influential essay “I and Thou” in his famous “Letter From Birmingham Jail.” Read the full text of the letter, below. 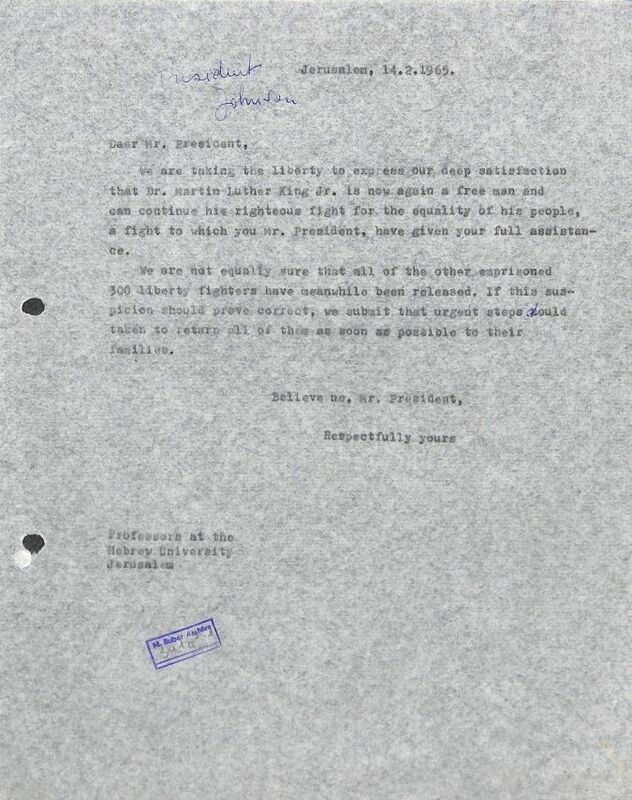 Martin Buber Estate Martin Buber’s letter, with Hebrew University professors, to Johnson.